The first building in the district differs from the others I found along the way. Until they got there, the buildings were preserved and painted with pastel shades. That was in retirement with men and women hanging on scaffolding. They were not hired to perform the service. They are part of the community and were practicing the dugnad - a concept of Norwegian culture that reflects much the way of thinking and acting in the country. The term refers to the act of helping neighbors and neighborhood members. It usually happens outdoors and involves some kind of manual labor such as fixing, cleaning or tidying up things. 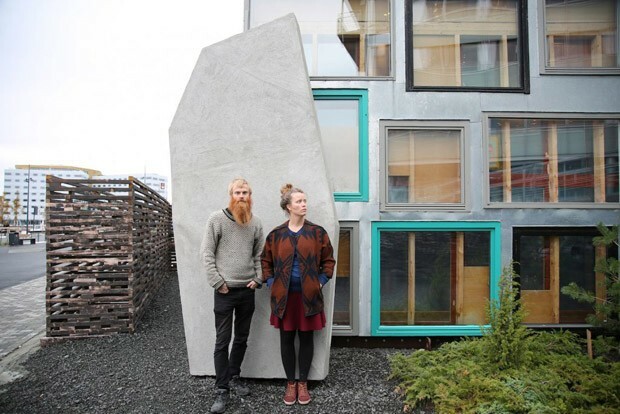 Near the prefab building there are the artist Charlotte Rostad and the architect Trygve Ohren - responsible for a series of artistic and architectural projects in the district. Usually the dugnad happens in small towns, but in Trondheim, the third largest city of the country, occurs in the experimental ecological area. There, each resident must sign a contract committing to help the community for at least 5 hours a month. 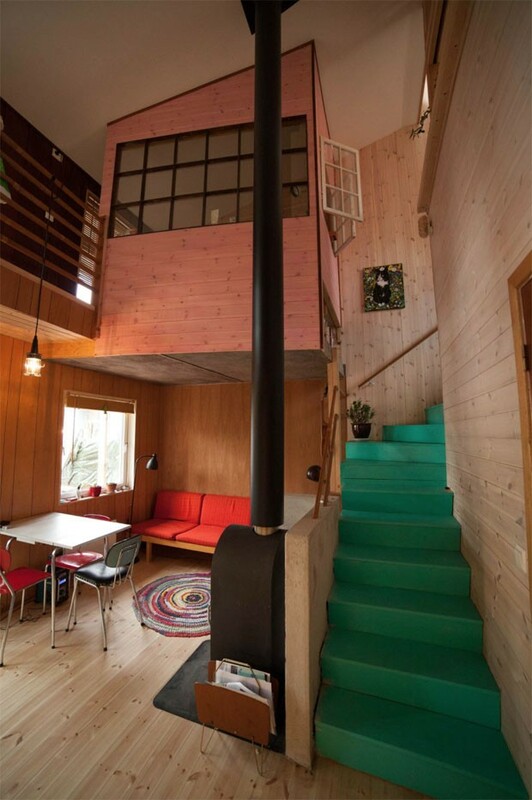 The architect Trygve Ohren is one of those responsible for the design of experimental houses built in Svartlamon. 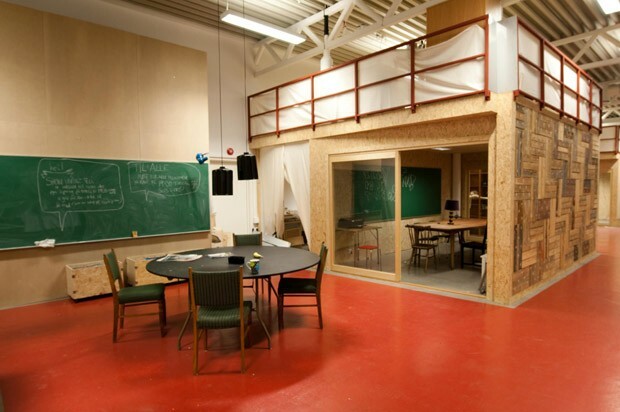 He developed a prefab sustainable project with fellow Haakon Haanes and the residents of the district for the final work of the Architecture course in 2013. The experiment used simple materials and reused others, as well as involving the entire community in the architectural process. In Svartlamon there is no private property. The buildings of the district belong to the municipality - for its ecological and experimental character. On the other hand, rents are cheaper compared to the rest of the country. In the district live students, young people, artists, architects and carpenters. 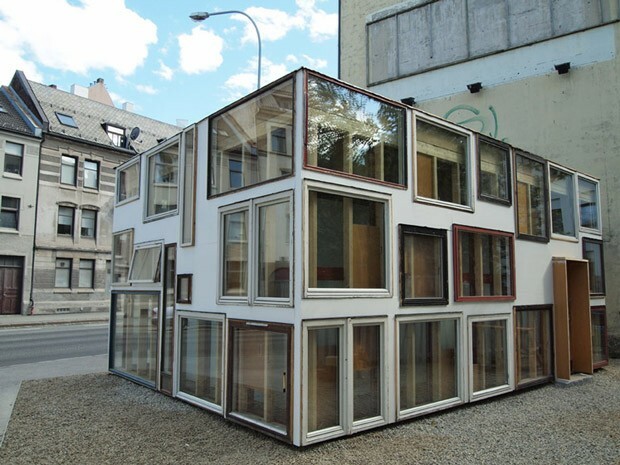 The Trygve Ohren project took five years to complete and consists of six compact, naturally ventilated wooden houses - one of which is for storage. In addition to a guest apartment. 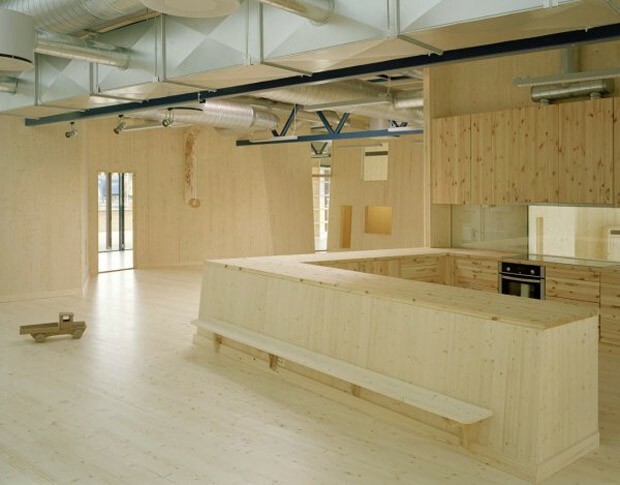 The prefab construction was lined with reused materials. The windows and doors were also reused. 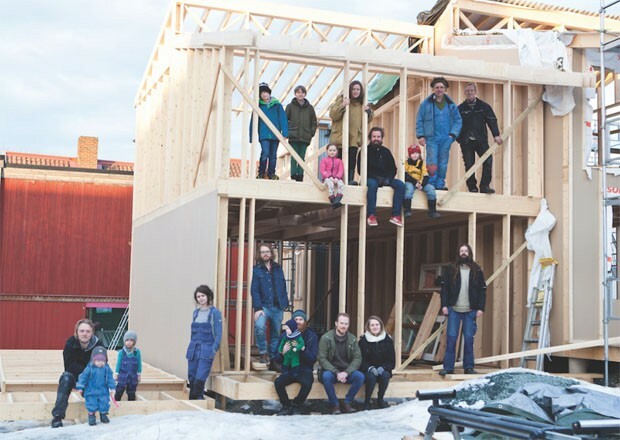 The future residents are the ones who built their homes, seven adults and seven children. According to the architects, the idea was for people to participate in creating their own sustainable environment instead of "being passive consumers". The plastic artist Charlotte Rostad says that she began to carry out projects with low course and recycling because she did not have the money to develop the ideas that she dreamed so much. That's how Rake came about, a gallery dedicated to contemporary art and architecture. 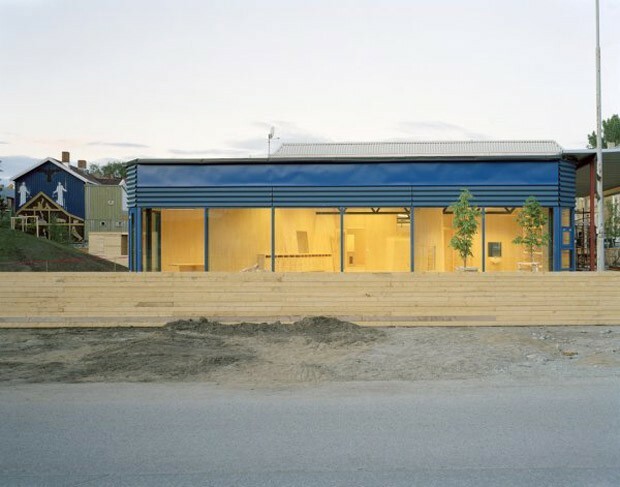 With talent and creativity to spare, Charlotte built the space with the architects Trygve Ohren, Tyin Tegnestue and August Schmidt in the year 2011. 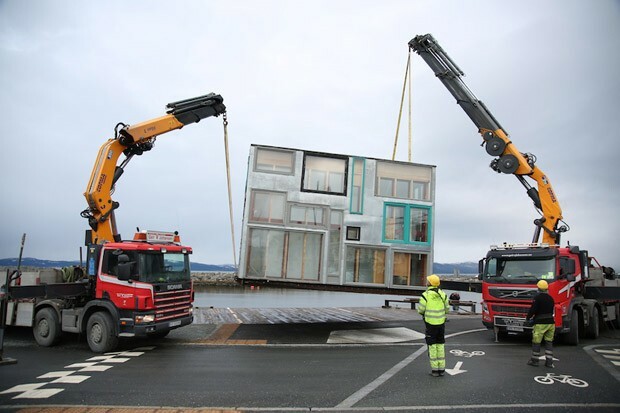 The gallery is a prefab mobile hub that has already transited in three different places in Trondheim. It has never been exposed in Svartlamon, but follows the same precepts of reuse and recycling. Most of the materials used in building the room were from a building about to be demolished. They built the space in only twelve days. The ceiling is made with three layers of doors and the walls consist of two layers of windows. The floor was made with massive wooden cubes produced by a local farmer. In 2013, the artist and architects were nominated at the prestigious European prize for contemporary architecture, the Mies Van der Rohe. The couple Trygve Ohren and Charlotte Rostad are also responsible for building the art workshop where 15 artists work. When Charlotte finished college of Arts at the Academy of Fine Arts in Trondheim, she decided to create a space to work with her designs and installations. The art workshop is located in a car shop. It is part of the day care structure, where your 3-year-old son plays and learns. The kindergarten stands at a crossroads, a place of passage for everyone passing through Svartlamon. There are no fences or security walls. When I visited the space, I did not have to identify myself at a concierge or secretariat. I simply walked through the gate and was soon among the five-year-olds who had lunch in the main hall. The desire to have a kindergarten came from the community itself. 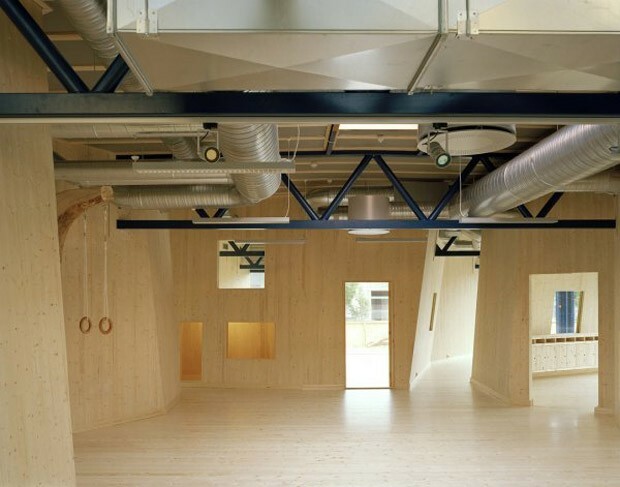 The nursery was built in 2008 by architects Geir Brandeland and Olav Kristoffersen. The windows are large and cover all the rooms of the building - which provides plenty of natural light in a country with little sunshine in the winter. Its interior is lined with solid wood, and gives the feeling of comfort and coziness. The walls are sloping and irregular and refer to the spontaneity of 45 children in the day care center - which are between 1 and 5 years old. Principal Ann Sylvie Olsen explains that she uses architecture as an educational resource. "The walls have different sizes and shapes. We talk to the children and explain that even though it's a wall, every corner is different and unique." Democracy is the word that the principal repeated most during the conversation. "It's an important concept, so we work with children to listen, observe and empathize - essential qualities in a democratic society." Especially in Svartlamon. A district that runs away from the commonplace; a space of resistance with singular projects and ways of life.